Compounding fulfills a niche market for us. In fact, veterinary ophthalmologists have relied on compounding for many years, and they are more important than ever! The benefits of compounding include increased options for treating patients and access to much-needed medications during shortages, backorders and discontinuations. Veterinary ophthalmologists have employed compounded medications for many years to treat ophthalmic disease. The early and frequent reliance of ophthalmologists on compounded medications is due in part to an ever increasingly narrow spectrum of available medications, practitioner preferences for the “old standbys” and the obvious advantage of using novel types of medications before they are officially approved for use in veterinary medicine. 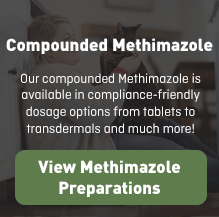 In many cases, the use of compounded medications represents extra-label use of the medication and the veterinarian must be aware of the laws in their state. There are many benefits to using compounded pharmacies. Here is a brief list of the most important benefits to you. I've put together a presentation on what is currently going on in the pharmaceutical industry and how it impacts veterinary practitioners like us. Download the eBook from the Resources for Veterinarians section of WedgewoodPetRx. Additionally, you can watch the on-demand presentation on PetsVetSpace.com for CE credit. I'll be guest blogging here for a few weeks to share with you this important information. In addition to his professional studies and residency training in ophthalmology, Dr. Brown received a Master of Science degree for his biochemical study of animal tears. Dr. Brown became a Diplomate of the American College of Veterinary Ophthalmologists in 1996. Dr. Brown’s special interests include diseases of the cornea, corneal surgery, intraocular surgery and diseases of the retina. He has written scientific papers, is a noted lecturer throughout the country and is an ophthalmology consultant for pharmaceutical companies. Dr. Brown is the owner of Veterinary Ophthalmology Services, Inc., a veterinary practice that specializes in the diagnosis and treatment of ocular diseases in animals. Veterinary Ophthalmology Services, Inc. offers services at the Animal Eye Center in Little Falls, NJ, Oradell Animal Hospital in Paramus, NJ and at Animerge in Raritan, NJ. The views expressed on this blog are solely those of the writer and do not necessarily reflect the opinions or positions of Wedgewood Pharmacy. 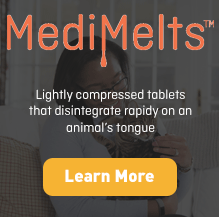 Medications compounded by Wedgewood Pharmacy are prepared at the direction of a veterinarian. 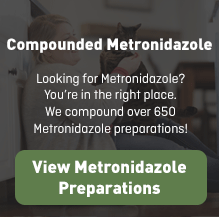 Many compounded preparations are commonly prescribed, and supported by literature, to treat particular disease states, but you should always consult your veterinarian before taking or administering any compounded medication. Wedgewood Pharmacy does not make claims for the efficacy of its compounded preparations.